I am new to firmware development and I am trying to understand the process of developing a 5 axis 3D printer firmware ( Z axis always vertical. very few companies are doing it on the professional level but nothing exists in the open source community( that I can find). - for example is it as simple as taking a 3D firmware and adding two extra axis. - Do I have to change configuration from cartesian to spherical coordinate system. To add to the complexity, I am trying to learn what is involved in developing a true 5 axis 3D printing slicer and gcode post generator. - How would a slicer know What is every axis doing and all the input and output devices associated with the printer to post the right Gcode? I am not looking for instruction on how to do it step by step but rather trying to outline the skill set needed for each task, programming language used, protocols and standards for axis assignment G codes and M codes conventions, Keywords that are part of the development process. Adding 2 axis to firmware is not that difficult. We already have 4 axis and just increase the logic to 2 more axis. Would need more cpu time of course. Problems arise if firmware needs to do some transformation which might be the case as you mention spherical coordinates. Not sure what you really want. If slicers need to output code for 5 axis I also don't know what you want to achieve. I mean programming/developing a few years to do something we can do with 3 axis can not be your aim. But I guess the answer to your question lies in us being able to understand what you want to do exactly. So to continue where the OP left off it would be interesting to know if repetier is working on an open source 5 axis firmware. And if you know of any of the open source slicers are doing the same. I know a user who might be playing with it. We do not have it on our official road map as for 3d printing this is not a requirement. But if we get a pull request with a good and efficient solution we will accept. Filament slicers are not using more then 3 axis as far as I know. CNC software of course might have this included as these machines already exist, but that is not my field. 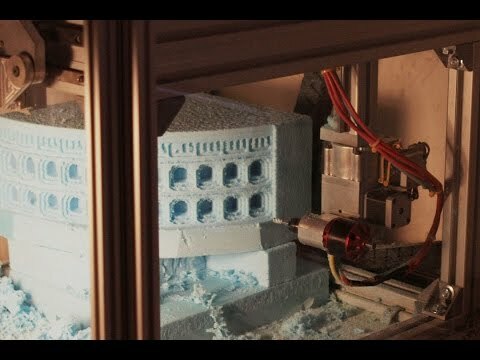 The fact that 5 axis provides multi bi directional ways to add material for smoother finish, stronger designs, multi directional flexing, etc..., means that 5 axis is the future of 3D printing as an alternative to reducing filler material, reducing print time, and developing finished products versus prototypes that are worthy of resale. Many benefits to multi axis printing and some already doing it with duet while others utilizing CNC software/controls with clever gcode modifications and the result is an amazing printer with high quality prints. I would recommend charging for 5 axis firmware to offset development costs and those serious about 5 axis printing will not hesitate to upgrade. New firmware V2 will support up to 7 axes, so we are on it:-) It has now A,B,C as additional axes. It is operational already for due based boards. Not all special cases regarding hardware are covered but already quite some so I could use it already with 5 axes on a dual x printer. See https://docfirmwarev2.repetier.com/ for documentation. On github it is in the dev2 branch.